One of the questions I had when I was starting golf was: what the hell are course and slope ratings that keep appearing in the scorecard that’s supposed to mean something? Of course with the advent of the internet, everyone can find out what these numbers are and Gilagolf is probably the last website you would go to for any golf lessons. a) The course/slope are used for handicap calculations, so we generally leave it to the experts. However, we do have an auto handicap calculator per USGA method in our gilastats area – unfortunately the Gilastats now is closed, as I was getting too many public requests and 99% of them were fake and for spam. b) The course rating is simple: the average that a scratch handicaper will shoot for that course. OK, so if John Doe is a scratch handicapper and shoots 72, the course rating is 72. Of course the rating is rated over many rounds and some other strange rituals like considering the color of your underwear etc. Of course not. I don’t know. As long as you see a course rating, that’s what a pro would be shooting. c) Now there is also a rating for bogey golfers called the bogey rating, but nobody knows about it, but its there. It’s basically what a hacker like us (18 handicapers) will shoot on that course. That being said, there is a slope rating to make up for it. d) Slope rating is just a complicated rating created by USGA or the St Andrews guys or whoever just to make them look smarter like mathematicians. Slope here is counted as course rating – bogey rating X 5.381. So say our favourite course Mines has a course rating of 70.30 and a slope of 126. This means we have a bogey rating of around 93.8. I.e we’re supposed to score 93.8.
e) Why don’t they just put a bogey rating of 93.8 instead of all this nonsense of slope is beyond me. And why is there a magical 5.381 in there? Well, apparently, it’s 113/21 = 5.381. Which begs the question, why 113 and 21?? 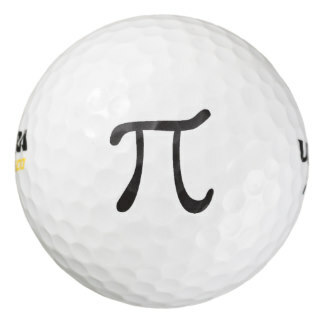 Apparently, 113 is the average course rating determined by these guys. And 21 is the average handicap index. So both these numbers are literally plucked out from the air. Without any explanation. Why is 21 the average handicap index? Why not 20? Why 113, why not 112? It’s a mystery. How does all this mean? Should we be looking at course rating or a slope rating when we approach a course? Well, most of the cases for us gilagolfers, we are looking at the price. If the price is good, then we google for the food around the area for lunch. After that, we probably will look at the weather, and then the aesthetics, and then whether there is a tournament. Probably the 28th criteria will be the course and slope rating. If I may venture, the course rating is probably a good way to gauge how ‘hard’ the course is. The slope rating will gauge how much hackers will enjoy the course. Say for instance, the course rating is very high. Clearwater Sanctuary is the highest we played at 74. Saujana, strangely is 73 even though its around 120 meters longer. You can expect high course rating courses to be reasonably long courses, but length is just one aspect. Seri Selangor at 73.7 at 6266 meters is pretty average or just slightly above. But it’s high also because of other aspects – rough, greens etc. But in general, don’t expect courses like Bangi to have any semblance of respect in terms of course rating. At 68.50, it’s easily one of the lowest ratings we have played, so if we have a birdie or eagle in there, it’s no big deal. Now higher slope means it gets progressively harder for hackers like us to navigate the course. Now expectedly, the Cobra Course is the highest slope we have played at 140. This means guys like us will shoot around 99 there. Strangely, another course at 140 is Tiara Melaka Meadows and Woodlands. Which is strange because I don’t remember Tiara Melaka being so difficult. Then again, usually in Melaka the only thing we remember is the food after the game. A higher slope would also mean it gets very difficult for bogey golfers. If you see a high slope you can bet that it’s probably either a lot of water clearance at 180m, or bunkers around the green/fairway or just wooded courses, where wayward drives will be penalised. Scratch golfers probably won’t face this too much because they always hit the fairway (unless you are Tiger). They probably get troubled by small greens or tricky greens. While all this might start to mean something when we play more golf, it basically just gives us a very rudimentary understanding of how we should approach the game. If the slope is high, you can probably argue that you need to be careful a bit because scores will escalate pretty quick if the mistakes pile up. If the course rating is high but slope is low, you probably want to work on your drives as it will be straightforward course but long. Frankly, mostly we just try to avoid the following: slice, duck hooks, whiff, tops, submarine and shanks.